WASHINGTON: Several US Gulf War Veterans expressed their honor to take part in the liberation of Kuwait, reiterating that they would do it again ‘in a heartbeat.’ Exactly twenty-five years ago today, the United States Army, backed by an international coalition of 34 countries, began the Desert Storm mission, an operation that lasted 41 days, resulting in the liberation of Kuwait from Saddam Hussein’s occupying troops. 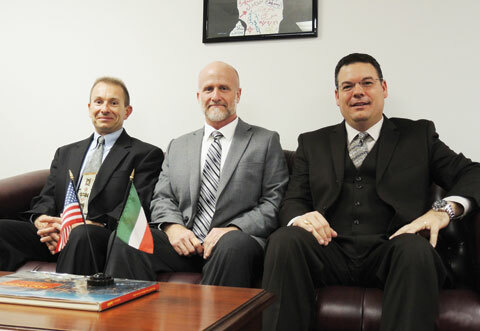 In several interviews with Kuwait News Agency (KUNA), the Army veterans said that they are proud to have partaken in ‘something very significant,’ liberating and returning a forcefully occupied land to its rightful owner. Scott Stump, a Gulf War Veteran and the President and CEO of the National Desert Storm War Memorial (NDSWM) committee, said that “I am honored to be a part of this momentous war, we did the right thing, I am proud to make a difference in Kuwaiti people’s lives, giving them a future.” Stump added that knowing what the Kuwaiti people have endured during the seven-month invasion urged the half a million US troop to combat the “terrorism” that was inflicted upon them. 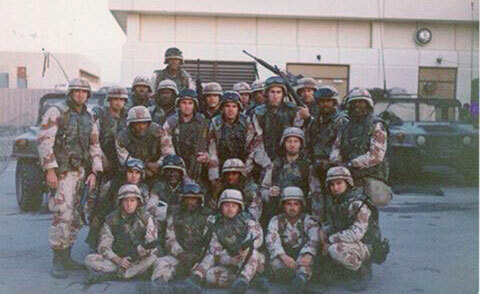 Gulf War veteran Cee Freeman’s brigade in 1991. The NDSWM is designing and lobbying to place a Gulf War memorial on the National Mall in the heart of the US capital Washington DC to highlight the 292 US servicemen who gave their lives for the two operations in the war, Desert Storm and Desert Shield. They are in the process of choosing the ground and designing in a way that highlights the efforts of all the coalition and educates in one of the most important and most swiftly won wars that the US have partook in the 20th century. It was an ultimate success, “what it was supposed to be and what it ended up being were so different,” Stump noted about the offensive operation, Desert Storm, that began its aerial and naval bombardment of occupying Iraqi forces for five weeks and a ground assault on the February 24th, only two days before the official liberation of the State of Kuwait. “I knew i wanted to go as soon as we heard about the Iraqi invasion,” Venneman reiterated “I felt that the invasion was wrong, unjustified, and deserved a swift and decisive response from the international community,” which it did. I'm glad to hear that the Desert Storm Memorial is moving forward. I hope it not only memorializes those who lost their lives during battle but those who suffer 25 years later. I certainly appreciate the patriotism and selflessness behind the sentiment that there are those that would "do it again in a heartbeat." Perhaps if I was still blind to the life I would face after the war I would join them quite willingly. Knowing what I know today about how the DOD and VA willingly abandoned Gulf War Veterans and how much I would have to endure, from physical pain to being treated like a pariah by my caregivers, I would rather go AWOL than go through all this again. I'm proud of my service. We did what we had to do. I certainly did my fair share during Desert Storm and, if my body and mind were able, I would serve again. The truth of the matter is that my body is now fragile and wracked with pain and I'm far from happy about it. If the government that promised to care for those of us bear the burden of battle would have treated me with respect and dignity from the get-go I would be more forgiving. Yet, today I fight not only the daily battle against this unforgiving disease, I fight my doctors and hospital administrators to get something at least closely approximating appropriate care for an ill Gulf War Veteran. I have a letter from the director of my local VA hospital addressed to myself and to Senator Wyden's (D-OR) office assuring us that she would implement a clinic or PACT for exposure hazards such as Gulf War Illness, burn pits, Agent Orange, etc. Almost 18 months after this letter was written, nothing has been done and I am still ridiculed by doctors if I bring up Gulf War Illness. 25 years ago I took pictures, got medals and all sorts of memorabilia. Today I am boxing that all up to give to my son. I don't want to see it anymore. I had my glory. All I want now is to get up one morning and not feel like I was hit by a truck while I was sleeping. Happy 25th Anniversary Desert Storm! You are the gift that just keeps on giving!! !